This cache is in honour of the Ottawa Electric Railway. 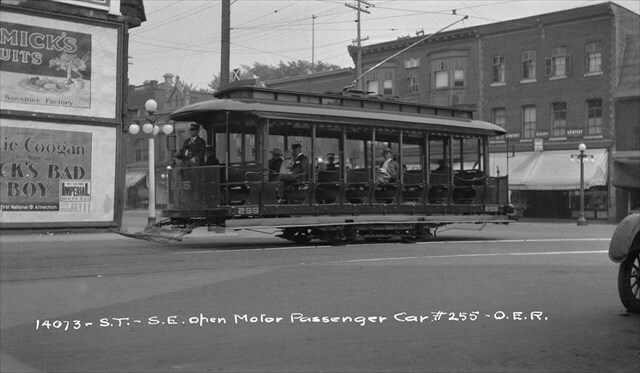 It was a streetcar transit system in Ottawa that operated between 1891 and 1959 one of the tracks went down Bank Street very close to GZ. 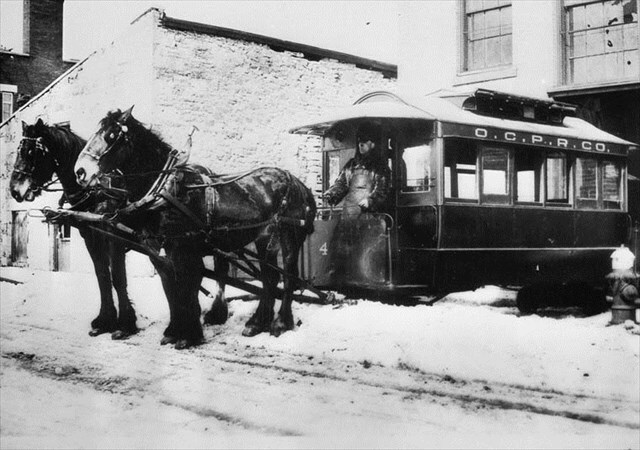 Prior to this, in 1866, public transportation had been provided by a horse-drawn tram service. 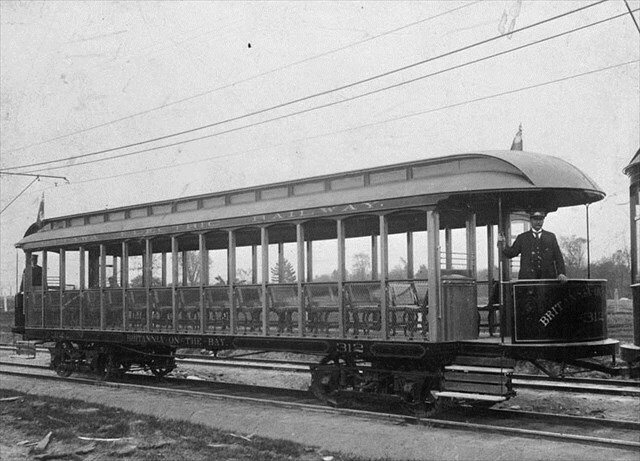 The horsecar, as it was called, provided public transportation into the 1890's. 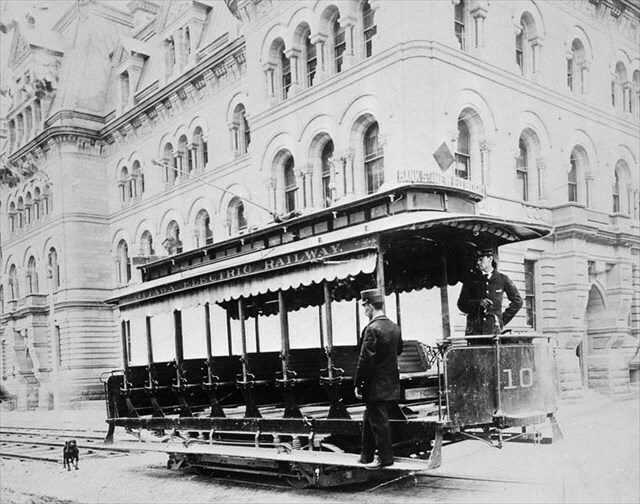 On June 25, 1891 the Ottawa Electric Company put the first streetcars into operation. Its first tracks started from Le Breton Flats to the Exhibition grounds via Bank Street. 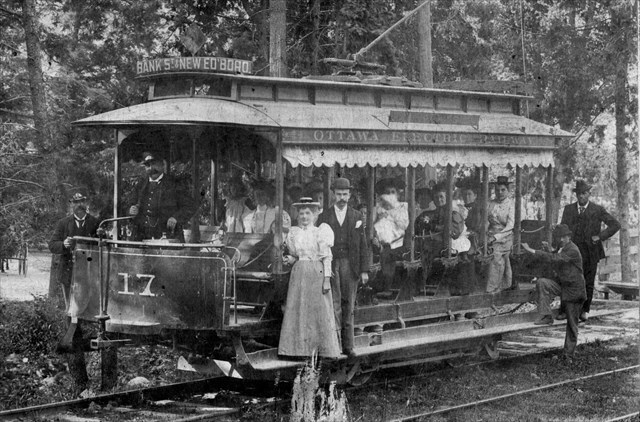 Electric Park was designed by the Ottawa Electric Railway as a destination for streetcar day trippers. It was considered a pastoral resort and was located in the area bounded by Bank Street, Glebe Avenue and Patterson's Creek. Fares were five cents and 3 cents for children. Financial problems at the Ottawa Transportation Commission caused the 96 aging cars to be replaced by diesel buses. 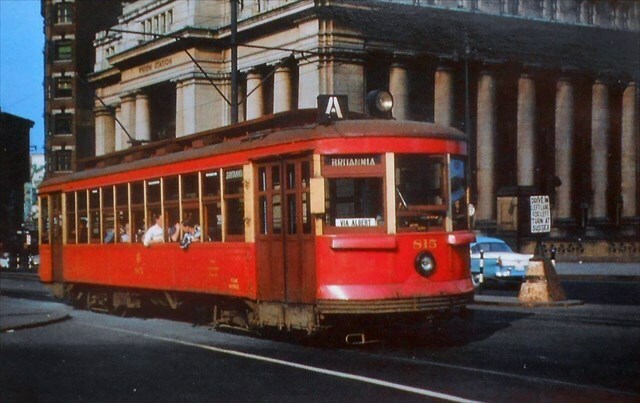 The last streetcar ran on May 1, 1959. A parade was held celebrating an end to 68 years of tram service in Ottawa. Bank and Gladstone is a VERY busy area. The cache container is small but there is room for Geo Coins. Please put the container back where it was found and PLEASE DO NOT post any spoiler pictures or comments.Trout Scout & Wood Nymph will delete any spoilers! !